Essay Campaign #15: Geography, Demographics, and Strategy – Blessing or Curse? Perhaps it seems self-evident that geography and demographics should affect a nation’s grand and military strategies. Mountain ranges, open plains, coastlines, and other topographical masterpieces created by several hundred million years of forces operating on the earth have blessed some nations with natural boundaries and cursed others with fewer resources. Border lines drawn on maps of these features have grouped populations that are sometimes hostile towards each other despite sharing a common nationality. But a deeper look at the influence of these variables reveals a more fundamental question– are geography and demographics permissive relative to a state’s strategic choices, or are they restrictive? Strategy is the relationship between what is desired and what is possible. At its most basic level, a nation’s grand strategy prescribes how it wishes to engage with the world, fusing diplomatic, economic, informational, and military elements of national power towards accomplishing a set of overarching political objectives. These elements are derived from factors like manpower, availability and access to resources, difficulty of securing and defending territory, and the internal stability of the state. One can point to scores of historical cases where geography and demographics significantly influenced a state’s strategic choices, but the challenge is to unbundle the circumstantial from the explanatory in search of a causal relationship. One way to do this is to think about the characteristics of geography and demographics and their effects on strategic decision-making. For geography, we should consider things like terrain, access to natural resources, soil productivity, and climate. For demographics, we could have total population, average age, fertility rate, and the ethnic/religious mix. These are not all inclusive, but they are a good start. Yet these characteristics have no real value without context. What we really want to know is: under what conditions would we consider geography and demographics to be permissive or restrictive relative to a state’s strategic choices? Let’s consider geography. At the logical extreme, permissive geography should provide inherent territorial security and an abundance of highly productive resources. With natural borders to hinder invasion, homeland defense would not be a worry, and a wealth of easily accessible and transportable resources would ensure a base level of prosperity to fund a variety of strategic options. Conversely, restrictive geography implies that territorial security is a challenge and a limited resource base constrains the potential for economic growth. These conditions would force the unlucky state to invest a significant amount towards defending its land from external threats, and would likely also depend on trade to counterbalance the lack of natural resources. It should be clear that few if any states meet either of these extremes and must contend with some mixture of geographic enablers and constraints. Great Britain, at the peak of its power in the 19th century, leveraged its geographic separation from war-torn continental Europe by building an unrivaled naval presence that would protect its shores as well as defend its profitable global trade network. On one hand, Britain’s geography seems to have permitted strategic choices unavailable to many continental European powers with borders to defend. But their isolation also kept them from playing a bigger role in European affairs throughout the century while Germany rose to become the dominant power, arguably forcing the British to enter World War I despite their neutrality out of fear that a victorious Germany would control the English Channel. Though a battered Britain would emerge with the victors, they would never again command the same hegemony as during the Pax Britannica. Germany itself dealt with a similar balance of good and bad geography prior to World War I. Natural resources fueled its strong industrial base, but its sandwiched position between Franco-Russian Alliance led to the formation of the ill-fated Schlieffen Plan in an attempt to avoid a two-front war. One could argue that Germany’s geography drove its military strategy, which depended on strict mobilization timelines for success, and consequently forced the German leadership to make disastrous strategic choices in July 1914 that might have otherwise been avoided. What about demographics? Manpower and internal stability are two important factors that affect grand strategy. Following the same logic as for geography, permissive demographics should provide an adequate pool of military manpower relative to the total population as well as stable domestic dynamics, while restrictive demographics would be just the opposite. Measuring these variables is not exactly straightforward, but a good start for manpower would be a population’s fertility rate (projecting the number of people available in the future) and average age (identifying the approximate subset of those who could serve in the military). Internal stability is more difficult, but ultimately hinges on the ability of a state’s central government to implement its policy. This is a crude definition, to be sure, but a state with multiple ethnic groups or religious sects may have trouble managing its own population enough to allow any grand strategic choices that don’t involve maintaining or restoring domestic order. They could also worry that another state may justify a conflict against them by invoking the ethnic similarities of their people like Hitler in the Sudetenland or Putin in Crimea. As with geography, there are few examples of perfectly permissive or restrictive conditions. Consider Japan, whose falling birth rates and high life expectancy have led to a population that is simultaneously getting older and smaller. The Japanese Health and Welfare ministry has projected that its population will decline by one million each year and that by 2060 the proportion of people over the age of 65 will be an astounding 40%. China, in contrast, is the most populous nation on Earth, and only 9.4% of its people were over the age of 65 according to a 2012 estimate. Although manpower is not the only significant variable to consider, such demographic trends can still tell a story about the strategic choices available to either state. In this admittedly unscientific diagram with only a few selected cases, we can at least begin to see a few patterns that might give some general insight on how geography and demographics impact states’ strategic choices. 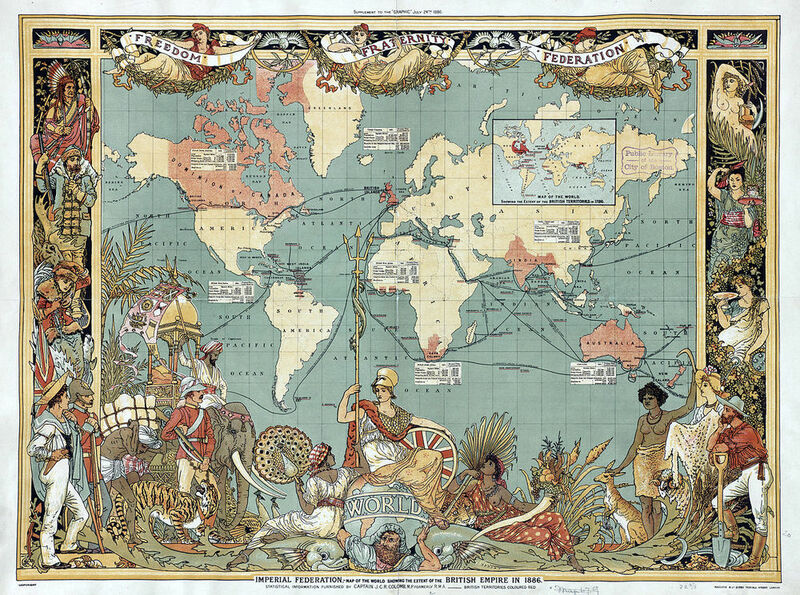 Most of history’s great powers are found in the upper right quadrant with relatively permissive geography and demographics. Poland, with its homogenous but aging population and flat terrain, is somewhere in the bottom right. Estonia has it even worse, with a sizable population of ethnic Russians and practically indefensible terrain, pushing it to the left. Context is key, though. Estonia’s position on this chart looks much worse today than it did six months ago in light of Russian revanchism. Internal political dynamics can change rapidly in countries like Egypt and Turkey. Any number of confounding factors may overwhelm the effects of geography and demographics on how a state decides to approach its strategy, though this framework may help identify some of the irrevocable enablers and constraints. It is important to keep in mind that this doesn’t establish any causality – permissive geography and demographics are no guarantee of power and prosperity. In fact, some scholars have theorized that an abundance of natural resources can actually have a negative effect on the economic growth of developing countries. But despite its drawbacks and limitations, this analytical framework provides the basic context for understanding how geography and demographics restricts some states and their strategic choices, but empowers others. [i] Note: this chart is based entirely on my qualitative assessment of where each country should be located. The axes have no scale, and I’m sure it would be possible to argue the relative positions of many states. My opinion is, that this graphic is good and is more or less indicative for the situation. I agree, that some countries may vary, but also, one and the same country can by with different place in the graphic, depending of the scale of the conflict. For example Balkan states, from the prospective of major Europe or World conflict, are positioned in the low left part. But if the conflict is just at the Balkan peninsula area, there positions can vary.